Welcome to Alan Bulotsky, MD & Associates, PC, where children come first, and where our team of pediatricians, nurse practitioners, and physician assistants works together with parents to provide exceptional medical care for your children. We pride ourselves on providing compassionate, comprehensive services to children from birth through young adulthood. We are honored to be considered as your child’s medical home. Please take a few moments to read through our website to get a better feel for Alan Bulotsky, MD & Associates' capabilities and services. Our website provides you with the important background about our clinicians, staff, office hours, appointment scheduling, maps, directions, and other useful information. We know how busy life can be and are committed to making our practice convenient and accessible for your family. We want you to feel confident that when you choose us as your child’s medical home, you’re working with professionals who are qualified, experienced, accessible, and caring. We want to thank you for choosing Alan Bulotsky, MD & Associates, PC, for your child’s medical care and welcome you to our practice. We can assure you that you’ll feel confident in our ability to meet and exceed all of your expectations. Please call our office if you have any questions or to schedule an appointment. On Wednesday, August 29th, our practice experienced a failure of our computer system, resulting in our inability to access patient records. This failure occurred despite a backup server and backup magnetic tapes of all our data. We want to stress that this was not a data breach, and no patient information has been made accessible to anyone outside our office or our IT partners. Our IT professionals are working diligently to recover the data. In the meantime, we have continued to see patients, documenting every visit on paper. When our electronic medical record system is functioning, we will enter all these visits into the electronic record. Unfortunately, we may have difficulty reconstructing all the data as certain files have been inaccessible to date. This is where we are asking you to help us: We will need to manually re-enter immunization records. If you have the form from your child's most recent physical, please send us a copy. If you cannot find the form, please contact your child's school nurse and request that a copy be sent to us at 508-580-3332. Most of us here at Alan Bulotsky, MD & Associates have been here longer than electronic medical records have existed, and while the recent situation has been frustrating for everyone, we have not lost our focus on providing excellent care for your children. We appreciate the patience, understanding and cooperation of the families we service. During a power outage our phone system may become unavailable. If you are unable to contact the office, please call our Nurse Triage Service directly at 508-967-0613 for questions about a sick child. After over thirty years, Alan Bulotsky chose to retire from private practice. We at Alan Bulotsky MD & Associates have chosen to retain the name of the practice as a commemoration of the excellent care provided to children in the Brockton area since 1975, a tradition that Dr. Hausman and Dr. Blanchard are proud to continue. Your MassHealth Plan changed effective March 1, 2018. You are now required to choose a specific type of coverage. Please be aware that in order to continue as a patient at this practice, you must choose either the MassHealth Primary Care Clinician Plan (PCC) listing Alan Bulotsky, MD & Associates as your PCC or BMC HealthNet Plan Managed Care Option (MCO) with either Mark Hausman or Scott Blanchard as your PCP. MassHealth has extended the beginning of their fixed enrollment period to July 1, 2018 in order to assure continuity of care. Please verify your coverage as soon as possible in case you need to make a change while it is still possible rather than waiting for your next visit to our office. Contact MassHealth hotline at 800-841-2900 and follow the prompts for changing your healthplan. Of course, we are always here to assist you. Please do not hesitate to contact us if you require further instructions. Dr. Hausman received his Bachelor's Degree in Brain and Cognitive Science from MIT. 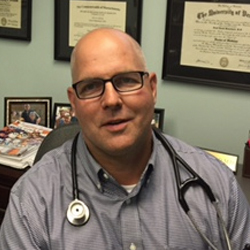 He received his Medical Degree from the University of Cincinnati. 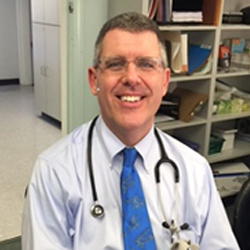 Dr. Blanchard received his Bachelor's Degree in Business Administration from the University of Vermont. He also received his Medical Degree from the University of Vermont.